The Sandwich Local History Society was founded in 1962. 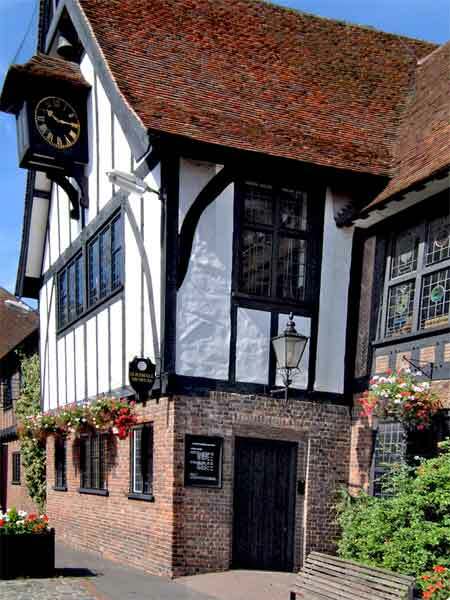 We meet in the Jury Room of Sandwich Guildhall every month from September to May, usually on the third Thursday of the month. Annual membership is £5 for individual or £10 for family membership. There is no charge for members to attend a lecture - non members are welcome at our lectures for a nominal donation of £1. Speakers cover a wide range of history related subjects ranging from “The Huguenots in Kent” to” The Hazards of the Journey – Pilgrimage and Travel in the Middle Ages”. Lectures start at 7 30 pm.